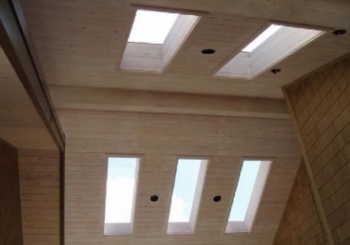 Skylites bring warm, glowing natural light into your home or business. Many factory standard sizes. Custom sizes are also available. Skylites come in bronze or clear anodized finishes as standard, however we can provide custom color matches based on color samples provided. Railing Systems add architectural appeal to your deck and staircases while providing a practical safety measure for your property. Our railings are engineered to withstand the most punishing weather and sustained winds up to 90 MPH. No year-after-year regimen of scraping, sanding and painting - ever! Just enjoy it. Skin Systems and Roof Sheeting are a light weight, light transmitting alternative to traditional glazings and roofing materials. Skin Systems are designed to be cost-effective and requires a structural framework that meets local building codes. 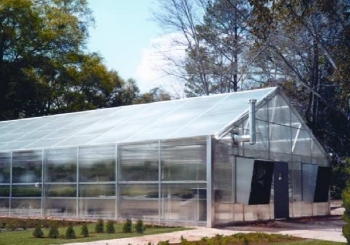 Polycarbonate Multi-Wall Sheets offer excellent thermal insulation and a UV protective layer. Polycarbonate Corrugated Sheets are economical, and virtually unbreakable. 10X stronger than acrylic and 200X stronger than glass!